On Monday night, my little town of Springdale, Arkansas was hit with a devastating ice storm. We knew the storm was coming but we had no idea of the damage we would experience from this. Tuesday morning, 1/2" to 2" of ice had accumulated on the roads, sidewalks and trees. Schools and businesses were closed because it was too dangerous to try to drive. My daughter, Brianna and I were inside our home listening to the trees make popping noises as the branches collapsed under the weight of the ice. We are photograph nuts and we've never seen anything like this, so we snapped pictures like crazy outside. Little did we know that many of our pictures would be the last of our home with it's big beautiful ornamental pear trees in the front yard. As we snapped pictures, we watched our huges trees buckle under the ice. One of the trees split in half; part of it landed on my car; the other part of it landed on my son's car. My entire neighborhood experienced damage like we have never seen before and it literally looks like a bomb went off in my neighborhood. My entire town and the surrounding areas lost electricity on Tuesday. It is now Saturday, and I anxiously wait for my power to be restored. Word has it that 95% of my town will have power restored by midnight tonight (Saturday). Our Governor, Mike Beebe, has declared our town a Federal Disaster area. I understand that there will be funding available for clean up and repairs but that's really all I know at this time. In any case, I am thankful for the use of my town's library computer today. I am a big news junkie and I literally feel like I have been cut off from the world for the past 5 days. Between that and the cabin fever, this has been a frustrating experience. Thankfully, my family and friends are all alright. We are also fortunate enough to live in a neighborhood where people still help one another. We don't have to worry about looting or anything like that. Neighbors I have never met before came over and sawed tree branches in my yard, helping to remove them from the vehicles and the street. In times like this, it is comforting to know that people are willing to help one another when times get tough. Art Circus has FINALLY Been Released - Yay! 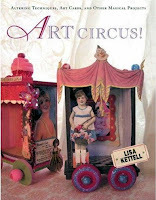 My dear artist friend, Lisa Kettell, has a new book on the market titled, "Art Circus, Techniques for Journals, Paper Dolls, Art Cards, and Assemblages." Lisa is a wonderful artist - her designs are full of magical whimsy sure to inspire creativity in others. Lisa's book also features artwork from several guest artists, including: Gina Smith, Eileen Grobeck, Jennifer Hayslip, Lori Karla, Debrina Pratt, Izabella Pierce, Laurie Duncan, Marla Tomlinson, Amanda Howard, Ann-Denise Anderson, Alejandra Pliegro, Sandra Koterba and....ME!!! (WHOO HOO!) I know many of these fabulous artists from Flickr and other internet groups. Their artwork really is eye candy for the soul. I think you will agree once you check out the book. Art Circus was originally scheduled for release on 2/1/09, but I received notification that Amazon.com shipped copies that I ordered for gifts yesterday. A few weeks ago, Lisa had informed us that pre-sales for the book were doing so well that the publisher (Quarry Books) decided to release the book a month early. I live in a small town and we aren't normally first on the list when it comes to receiving new things. That includes books. I think I've worn down the carpet in my local Barnes and Noble looking for Art Circus there. Oh, well, maybe my publisher's copy of the book will arrive any day now. I'm anxiously awaiting its arrival; it definitely gives me something to look forward to over the next few days. 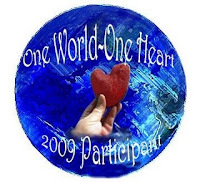 I just found out about a terrific worldwide blog event being held on Thursday, February 12, 2009. The event is called "One World One Heart" and is the brainchild of Lisa Swifka of A Whimsical Bohemian. This is an annual event in which bloggers from around the world hold a giveaway on their blog. The giveaway can consist of anything including, but not limited to: antiques, supplies, etc., but o riginal artwork of any kind is encouraged. Lisa thought this would be a great way to connect with other bloggers while celebrating the spirit of giving and friendship. Since I am not one to pass up a fun event like this, I am happy to tell you that I am giving away not one, but two handmade resin rings (pictured above) as part of this event. The first ring consists of a real conversation heart candy piece and sprinkles embedded in a clear resin base; the second ring consists of a handmade fuschia polymer clay rose set in a deep black resin base. The rings are adjustable. Two lucky winners will each receive one of the rings. To enter, please leave your name and email address or blog address in the comment section below this post no later than February 11 at 11:59 p.m. (After all, I will have to contact you to get your mailing address if you win.) That's it! Isn't that easy? The winners will be drawn and announced on February 12. When using larger molds such as the ones for belt buckles and paperweights, the resin will often stick and can be difficult to remove from the mold. As these molds are not flexible, you can't pop the resin piece out like you can with the smaller jewelry molds. I had this happen once when making a belt buckle and I almost threw the whole thing away out of frustration. I contacted the resin manufacturer and they gave me a very helpful tip that really works. Turn the mold upside down so the resin part faces the table. Take a heat gun and move it all over the back and sides of the mold. Pick up the mold and slam it against the surface of the table a couple of times. The resin piece will inch it's way out of the mold. The heat from the heating tool constricts the resin which allows it to slide out of the mold. It really works! One frustration often shared with me by people who make resin jewelry is that once they sand off the rough edges of their pieces, they are left with dull, matte edges. I have a quick tip I'd like to share with you that I use on all of my resin pieces after I sand them. I submerge the resin piece in water to remove the dust caused by sanding, and then I dry this off with a soft lint-free towel. I place a dot of Diamond Glaze on my index finger and lightly apply it to the sanded edges. Once the Diamond Glaze has dried, you can't tell any difference on where the resin ends and where the Glaze begins. I would not, however, recommend using Diamond Glaze over the entire resin piece, as it is not as indestructable as resin is. It easily picks up scratches, so the overall beauty of your resin piece may not withstand years of wear and tear. Take it from me - stick with glazing just the edges and you'll come out alright in the long run. If you search any website or craft store which sells resin molds, you are bound to see the same ones at each shop. I like a little variety in my jewelry making projects, and I don't want my designs to look like everyone else's. For that reason, I often make my resin molds from unconventional items. One of the items I love to use for resin molds is the pre-molded plastic packaging you often see on a myriad of items in regular stores. These are terrific because you can find all sorts of sizes and shapes, many of which are perfect for resin projects. Because the packaging was not originally designed for resin projects, please keep in mind that you can only use each mold one time. Be sure to plan accordingly if you need several pieces for a project. If your plastic comes in several sections, cut out one section to be used for your project. Be sure to leave a rim around the outer edge of the packaging so you can easily lift the item. Using a soft, lint free towel, wipe out the inside of the mold. Lightly spray mold release into the mold and let dry. After this dries, if you notice small spots left by the spray, wipe these off with your towel. If you don't do this, these will transfer to your design and you won't be able to remove them later. 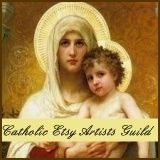 Pour resin into the packaging and add prepared embeds or photos as desired. To remove air bubbles in the resin, circulate a heat gun over the top of the resin. You will see the bubbles pop as they are zapped with the gun. Use caution in doing this, though. If you overheat the resin, it can cause problems in the setting of the resin and it also can melt your mold. Let the resin cure. Once the resin has cured, use scissors to snip away at the outer edges of the mold. Use your hands to tear away what can't be cut with scissors. And there you have it! Your completed unique resin project made from your own mold! Enjoy!